A timeless blend of Patchouli, Sandalwood & Neroli. Provocative, warm & earthy. Our most hydrating Hair Oil. Clients routinely report this is one product they are unwilling to live without. 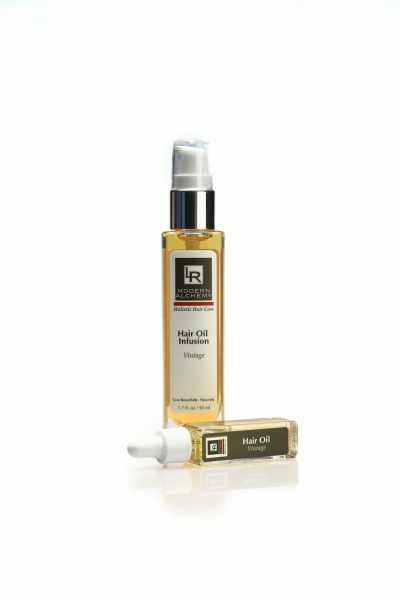 Rich Argan Oil has instant absorption and transforms the hair after a single application. It is rich in tocopherols and essential fatty acids. Apply a small amount to ends of hair, then lightly work through. Hand blended with organic oils of Argania spinosa (Argan Oil), Prunus amgdalus dulcis (Sweet Almond Oil), Calendula officinalis (Calendula Flower), Tocopherols (vitamin E), and the purest essential oils of Pogistemon patchouli (Patchouli Oil), Santalum spicatum (Sandalwood Oil), and Citrus autantium (Neroli Oil). Calendula Oil — Calendula petals are macerated in sunflower oil, and this process creates an infusion that repairs cells, strengthens your hair and adds deep conditioning. As a man I was initially uninterested, but since trying it I now use it daily. A few drops for my hair is amazing. I also use a few drops as a pre shave, and wow…not only is it a much closer shave, it’s an easy comfortable shave. Laurie custom tweaks the ingredients in this infusion for me due to my allergies. It’s so worth it! I use it daily not only to feed and style my hair, but because it brings out the details, textures and layers of my cut and color. I also love wearing the smell.